According to the recently released United Nations 2014 World Urbanization Prospects report, 66% of the world’s population will live in cities by 2050. Most urbanization will occur in Africa and Asia, with India, China, and Nigeria alone accounting for one third of all urban population growth. Although urbanization is associated with development and poverty reduction, rapid urbanization also presents a number of challenges. One such challenge will be increasing urban sprawl, as the land area covered by expanding cities is expected to grow at about double the rate of the population. For example, from 1985 to 2000, the population of Accra, Ghana increased by 50%, whereas the city’s land area grew by 153%. With urbanization has come growth of the urban poor and informal settlements, also referred to as slums. A whopping 32% of the world’s urban population lives in slums. Even with modest successes in poverty reduction and upgrading informal settlements, the world’s slum population could still reach 889 million by 2030. 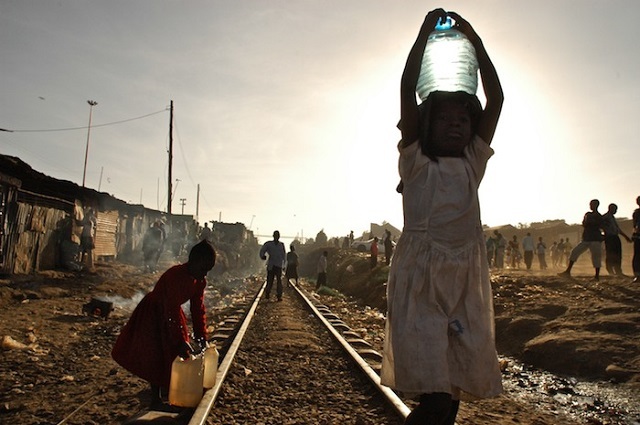 Informal settlements are densely populated and lack basic property rights and access to critical infrastructure, such as clean water and sanitation. They are also often most at risk in the event of environmental hazards. To protect their livelihoods, health, and safety, residents of informal settlements are the most in need of secure property rights and inclusion in land management and planning, while also the most vulnerable to eviction without notice or compensation. Kibera informal settlement in Nairobi, Kenya with a population of about 235,000 people and equal to 3/4 the size of New York City’s Central Park. Photo by Christine Olson/Flickr. The cityscape in low and middle-income countries is a kaleidoscope of informal property rights. 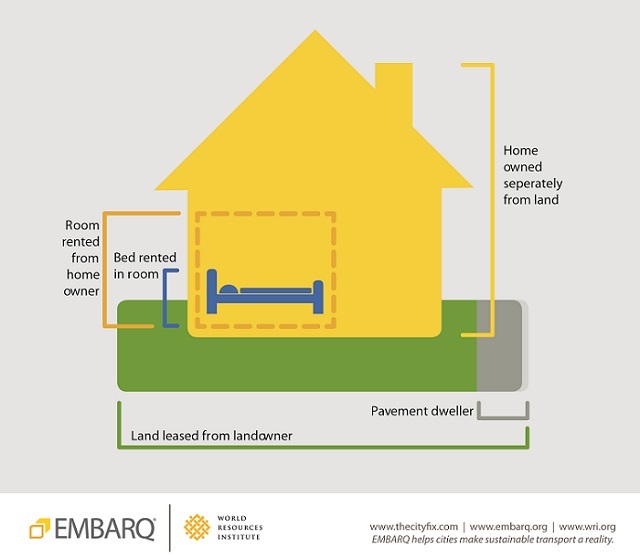 As shown in the graphic below, a single structure in an informal settlement can be the site of half a dozen formal and informal property rights, from a pavement dweller to an owner with legal title. Titling, or the issuance of legal rights over a specific land parcel, is one way to give informal residents formal property rights. Titling often brings tenure security, which in turn can increase the property’s value. Governments must recognize that individual settlements can have a mix of formal and informal property rights. Graphic by Karla Renschler/WRI. Titling, however, is not a silver bullet. There remains the risk of outside residents claiming parcels in an informal settlement in anticipation of titling, or wealthier residents purchasing land after its been titled. This process, called downward raiding, simply relocates the intended beneficiary of titling to another informal settlement. 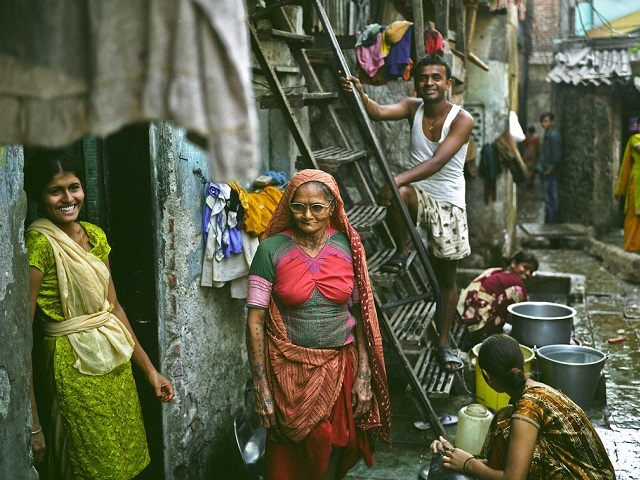 Some projects, such as the Slum Networking Project in Ahmedabad, India, combine the issuance of titles lasting for a fixed period, such as ten years, with improvements in infrastructure and enforced bans on eviction. Title for even a limited time can be enough to encourage residents to invest in their community and discourage opportunistic claimants. Cities use multiple approaches to increase population density while also improving the quality of housing and providing basic services through land readjustment. One approach to readjustment is land pooling, where rights holders pool their land into a single partnership administered by a government agency, which then, after redevelopment, issues secure ownership rights. Cities can also use land sharing by encouraging the owner of land occupied by an informal settlement to transfer part of the land to the informal occupants at a reduced price. Like titling, if not done responsibly these techniques risk further marginalizing the most tenuous of informal property rights holders. For this reason, UN-HABITAT adopted the Participatory and Inclusive Land Readjustment (PILaR) approach. Unlike traditional readjustment, which often requires the state to seize land, PILaR calls for early and consistent engagement with all stakeholders, including women, minorities, and the poorest members of a community. The first test of the PILaR approach is underway in Medellín, Colombia and is expected to conclude by the end of 2014. Early reports are positive, with extensive stakeholder engagement at all levels and the settlement showing both improved population density and better access to services and public infrastructure. Readjustment techniques are not always appropriate. In some cases, governments may need to resettle informal settlements, such as when informal settlements are vulnerable to flooding or other environmental hazards. If resettlement is required, cities must give adequate notice to inhabitants, engage residents in planning decisions, and provide fair compensation for informal property rights holders to minimize the impact on their livelihoods. Finally, residents in these cases should be resettled to housing that is durable, secure, affordable, and equipped with basic services. Rapid urbanization is a daunting challenge for cities with large and growing informal settlements. Slum upgrading projects sometimes fail to achieve their intended purpose. Worse, some cities use slum clearance to evict inhabitants of informal settlements. Yet slum upgrading projects like those in Ahmedabad and Medellín have improved the quality of life in informal settlements. With a focus on inclusive planning for the most vulnerable residents, cities can help ensure all inhabitants enjoy security and opportunity.